The lone swimmer, turning over now to switch to a perfectly executed back crawl, wasn't Oxford or Cambridge, wasn't a man. It was a woman, a girl. It was Catherine. Of course it was Catherine. It's 1925 and fifteen-year-old Catherine Quick longs to feel once more the warm waters of her home, to strike out into the ocean off the Torres Strait Islands and swim, as she's done since she was a tiny child. But with her recent move to London where she lives with her aunt Louisa, Catherine feels that everything she values has been stripped away. Louisa, a busy, confident London surgeon who fought boldly for equality for women, holds definite views on the behaviour of her young niece. She wants Catherine to pursue an education, just as she did, to ensure her future freedom. Since Catherine arrived, however, Louisa's every step seems to be wrong and she is finding it harder and harder to block painful memories from her past. 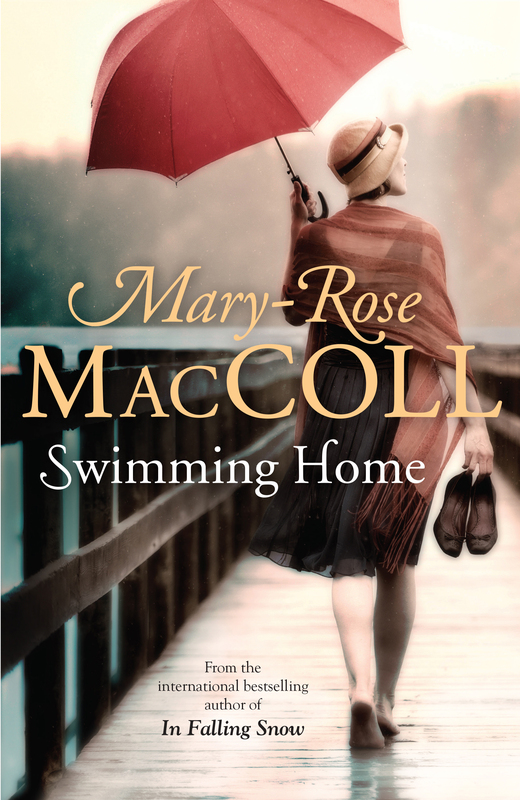 Like Mary-Rose MacColl's bestselling novel, In Falling Snow, Swimming Home tells a story of ordinary women who became extraordinary. Swimming Home is Mary-Rose MacColl's fifth novel. Her first novel, No Safe Place, was runner-up in the 1995 Australian Vogel literary award and her first non-fiction book, The Birth Wars, was a finalist in the 2009 Walkley Awards. Her international bestseller, In Falling Snow, was published to great acclaim in 2012. She lives in Brisbane, Australia with her husband and son and is an ordinary swimmer.